Engineering drawing, also called drafting, is the creation of precision graphics that fully define and illustrate a structure. All economic sectors that manufacture things rely on such graphics to do the work of manufacturing. Producing industry-acceptable engineering drawings requires academic training. Yet, even the best academic training can’t teach every drawing technique that saves time or money. Many techniques are learned only after years of drawing, or by reading articles written by others with such experience. No one wants to “re-invent the wheel,” yet that’s close to what drafters who don’t make use of existing designs are doing. While copying another drafter’s work is plagiarism, using an existing design to create your own unique design--and solve difficult drawing problems--can save countless hours and therefore money. Many resources, repositories and databases exist to help drafters who are looking for a working example of the structure they need to draw. Besides seeking these examples in textbooks and other publications containing engineering graphics, you can search online databases for whole plans, or for selected images from a plan. To progress in your engineering drawing skills, learn as much math as you can, especially trigonometry, analytic geometry and calculus. These specialized disciplines are highly visually-oriented and taught to solve real-world problems. In particular, analytic geometry’s focus is to represent and solve situations and problems from multiple viewpoints. Note the following example, where the height of the top of a crane needs to be determined from two or more views that show only foreshortened (i.e. appearing shorter than they really are) height dimensions. Using parallel and perpendicular line-drawing techniques specific to analytic geometry, an elevation view--one that displays full height information that isn’t foreshortened--can be created. Other visually-oriented math branches have equally useful techniques that can greatly augment your engineering drawing skills. 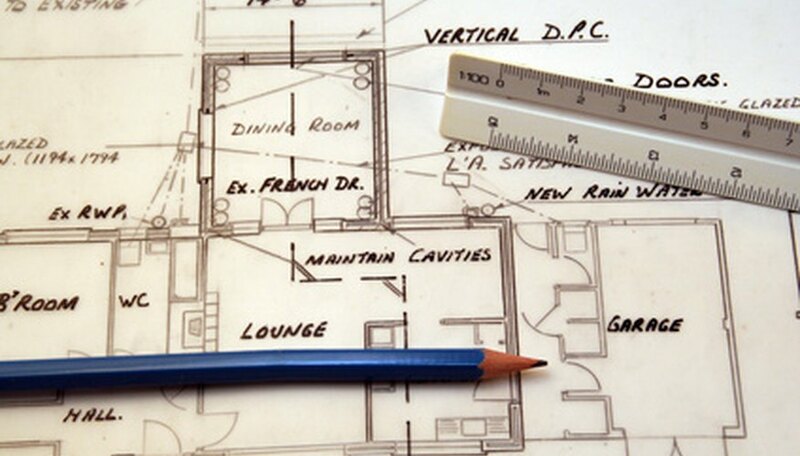 Engineering drawing, which requires instruments like rulers and compasses, is founded on freehand drawing. Drafters from Leonardo da Vinci’s time and later (if not even earlier), have used sketching to help them understand engineering and drawing problems, and to answer scientific questions. While finished engineering drawings naturally have to display straight lines and smooth curves, the initial design for a structure typically comes from rough sketches. Consider also that the concentration needed to use the tools and techniques that produce refined drawings can pull a drafter’s attention away from the actual drawing she’s working on. By contrast, accurate sketching with only pencil and paper demands full concentration on the drawing itself.